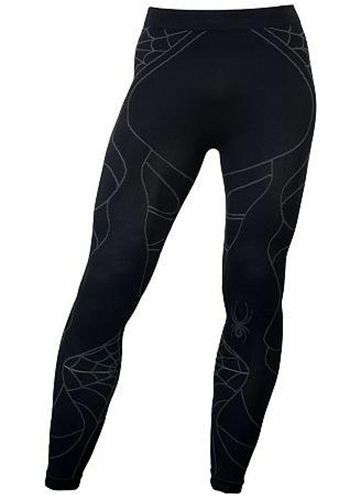 The Spyder Seamless Compression Pants provide comfortable support points, zonal venting for airflow in the body's heat-prone areas, and an ergonomic fit for athletic movement. Made up of Polypropylene, nylon, and stretch Spandex to provide wicking, support, and comfort in this next-to-skin pant. The Seamless pants also feature dimensional venting which will help provide a cool, and comfortable fit as well. The Seamless design eliminates chaffing because there are no friction spots, providing performance fit.